That’s right, it is a tiny computer in your pocket, and it’s seriously pretty powerful — more powerful than all of NASA in its entirety in 1969, as a matter of fact. Are we landing people on the moon every time we check our phone? Nope. We’re spending our lives scrolling bad footage of someone’s public diary, posting selfies and watching cats freak out at bananas. But we can put that pocket computer to some incredible use. Even when we’re outdoors and on adventures, it can bring amazing information to light. In fact, that might be some of the coolest stuff that your phone can do. So stop scrolling and start learning. These apps can change the way you see the world. This app just wrapped up a million questions about a million mountains. PeakVisor is a mountain identification app that lets you upload data on mountain ranges around the world then provides you with information based on your location as soon as you open it. 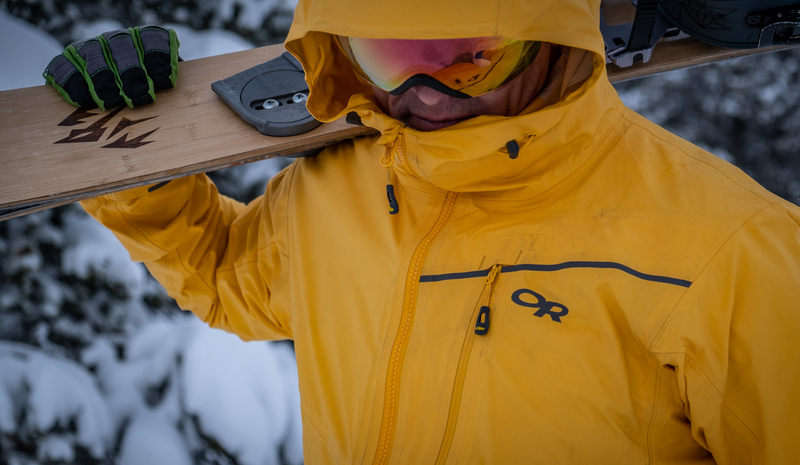 With a compass graphic that includes a 3D map of your location in the center, plus an altimeter tool installed and access to your phone’s camera, simply hold your camera to the hills and PeakVisor will trace a digital overlay of what’s on your screen with names and elevations of peaks, plus some topography details. It features local search functionality, map coverage, works offline and the 3D compass maps include trails. It also knows other landmarks, like waterfalls, and can predict the movement of the sun — a handy tool for photographers or for planning camps. With PeakVisor you get to know the world around you. SkyView provides endless hours of wonder and learning about things you never knew. It’s like PeakVisor, but for the night sky. It uses date, time, location and your camera to determine where you are in relation to the stars. Simply hold your phone up to the sky and SkyView will highlight what’s out there. 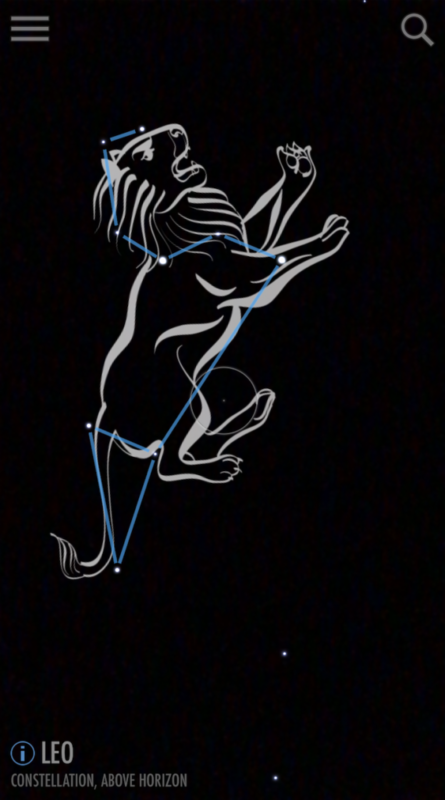 Hover over the constellations and the app magically will connect the dots for you. Suddenly it will reveal how they are interpreted. SkyView Identifies planets as they are are emphasized, and it reveals horizon levels and even satellites positions. This app stands out as one that can entertain and educate. Kick back under the stars and watch them come to life. Leasfsnap is an electronic field guide of leaves developed with efforts from the University of Maryland, Columbia University and the Smithsonian Institute. For inquiring minds that are fascinated with the natural world around them, it’s pretty amazing. You can browse a list of plants for visual clues, create an account and log the specimens you have found and identified, and even form a collection of what you have found. But what is really impressive is its use of your phone’s camera to actually identify plants; hence, the snap part of the name. Simply focus on the plant in question, snap it and Leafsnap will identify it. It’s an app good for budding naturalists. Plus, now you can tell the difference between wild garlic and the toxic Lily of the valley — two easily and commonly confused plants. If you like popular activity trackers like Strava, you’ll love Relive. This app is compatible with several different activity trackers like Garmin, Strava, MapMyRide and Polar. Once installed, sit back and wait for the digital 3D flyover-style video that followed all of your tracked adventures to be emailed to your inbox. It’s free, automatic and share- and social-friendly; plus, your friends and family can easily open it even if they don’t have the app. It will even showcase the exact location of the photos you took along your journey. Relive has become a favorite for many of app-obsessed phone owners (guilty as charged). It’s a personalized media event that’s all yours, and it’s a great way to see the landscape you just covered. Get the beta and a bird’s eye view, and bask in the glory of what you just accomplished. Every knot you could imagine and countless more are covered in this easy-to-follow, step-by-step guide to tying knots. It’s beyond what most people will ever need, but that is what’s so impressive about it. 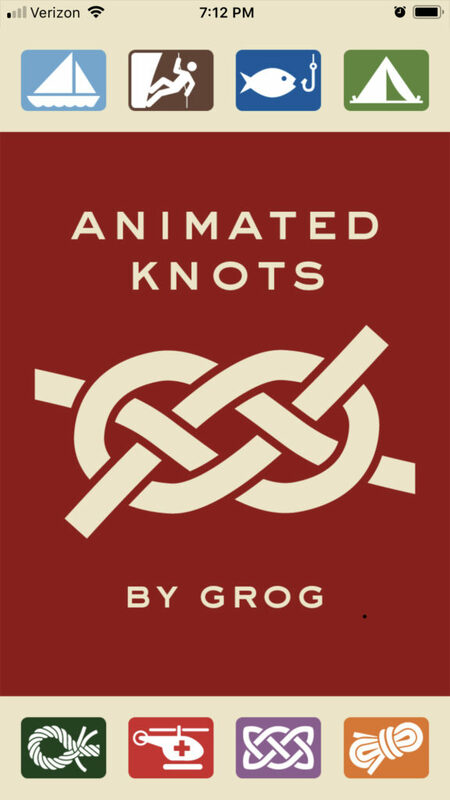 Grog Knots categorizes knots by activities in which they are most used but also organizes them into sections by knot type. From nautical, fishing and arborist knots, to climbing to decorative knots, and even neckties and household uses, this is the ultimate handy guide to tying it all together. Climbers can geek out over this, but it’s far more utilitarian. Practice with a shoestring at your desk and then save the day in real life with a trucker’s hitch, bottle sling, bowline or alpine butterfly. This is an invaluable quick reference guide for how to respond to non-emergency and potential emergency situations. It has relatively basic, fundamental information but also has a good amount of insight to how to assess situations. For example, you can learn how to assess if someone is having a stroke or signs of hypothermia, how to recognize black widows or brown recluse spiders, venomous snakes and their bites, how to recognize anaphylactic shock and what to do, how to handle broken bones and much more. This is a great app to peruse before you need it. Instead of posting a mood update on social media, you could be learning how to treat heat exhaustion or familiarize yourself with CPR. 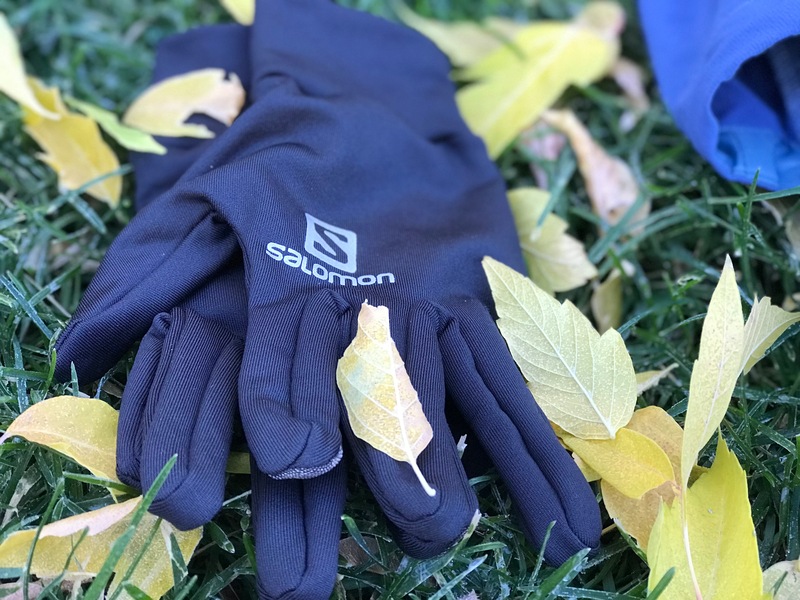 This app from REI may be one of the best apps out there for location, tracking, staying on course and finding other nearby trails — and you don’t need a cell signal to use it. See that little blue dot? That’s you. Follow your path home, elevation and all. 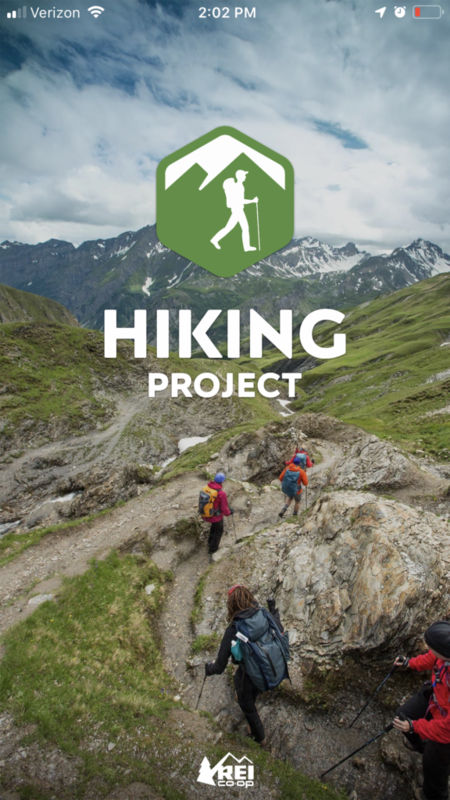 Hiking Project is a no brainer for anyone that likes to be outside and track their movement. 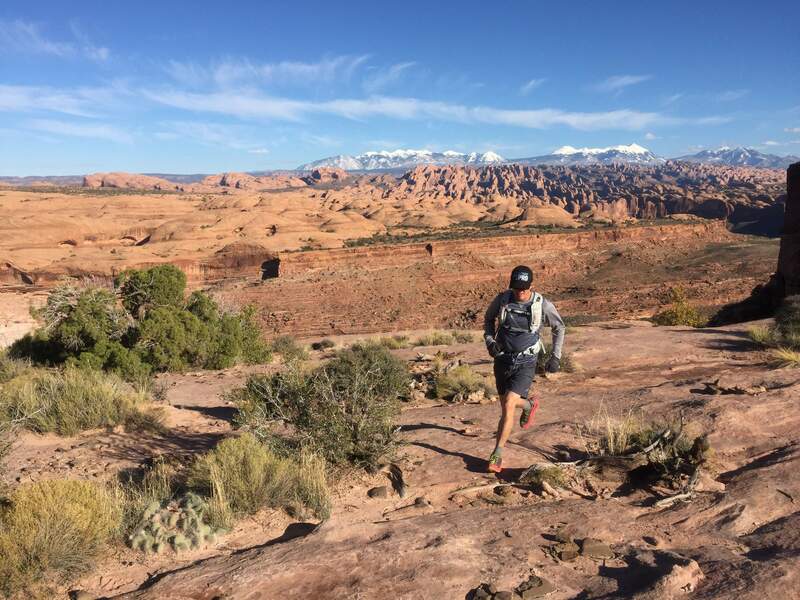 We’ve been way off track before, including once on the fringe of Bears Ears National Monument. When we popped out of a canyon on a dirt road, we weren’t sure which way to go. We checked our map but had a funny feeling it didn’t have all the roads on it, plus it was dark, cold and we were cooked. We pulled out our phone, turned it on and opened the Hiking Project app to get our bearings. Seven miles later we were eating chocolate chip cookies at our car. The app is not only free to download, but it is also free of advertising. 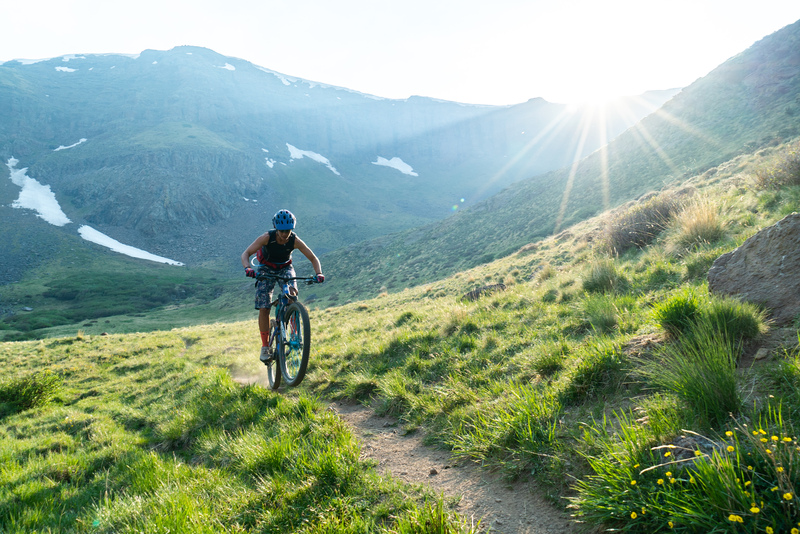 REI’s selection of trail and climbing apps include Trail Run Project, Mountain Bike Project and Mountain Project, and they are all an asset to trail and climbing enthusiasts. In 2012, Alyssa Ravasio couldn’t find a campsite to book online in Northern California for New Years Eve. What if she made it easier for people to find and book campsites? Two years later, Ravasio partnered with a popular backpacking personality and received $2 million in seed funding, and then Hipcamp gained serious ground. Think of this online website as VRBO but for camping. With 16,868 campgrounds and 352,009 campsites, including private, public state and federal options, odds are if you find yourself on the road in need of a place to sent up a tent for the night — or three — you’ll find it on Hipcamp. Or, if you have something in mind for a particular date, you just might be able to find it. Need a spot for four next Saturday with two dogs and close to water in the desert? Done. Looking for that cabin in the woods close to town for Solstice? Got it. According to Hipcamp, it’s their mission to get more people outside, and access to the outdoors is the key. 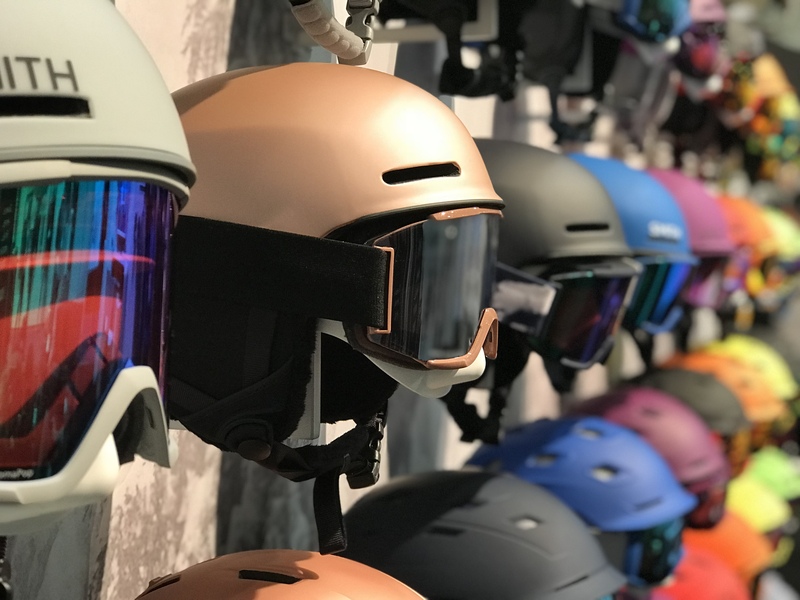 “We’re firm believers that people will protect only what they connect to and care about,” according to the company’s website. Hipcamp isn’t a mobile app yet, but it makes it easy for campers to find what they’re looking for and an easy place for camp hosts to list their campsites. In the event of an emergency in a remote location, a call to 911 can still go through if any provider at all has service in the area. So if you are use a cellular carrier that does not have good service but another provider does, federal regulation requires the functioning carrier to allow the call to go through. Good to know.